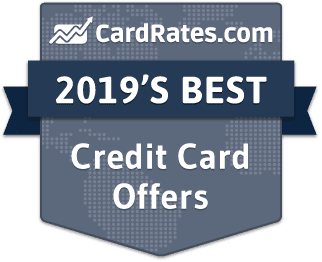 Below are our staff picks for 2019's best credit cards for students. These cards offer competitive APR's and numerous perks geared toward those enrolled in higher education. Our reviews follow strict editorial guidelines and are updated regularly. 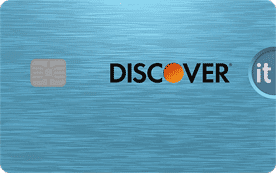 The credit card options for college students looking to build credit are sometimes limited, especially once you eliminate predatory fee-harvesting cards from the mix. That's why our staff recommends just a small handful of cards to students, summarized in the table below. if you see a card that appeals to you, simply click the card name to visit its official issuer website. 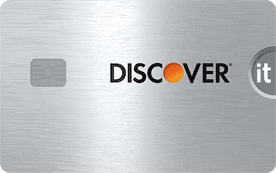 Given that few students have robust credit histories, your best bet for qualifying for a credit card as a student are those cards specifically designed for students. These cards can be obtained with no or limited credit history and often provide student-specific perks. Student credit cards can be a great way to build your credit history and learn about managing debt. The earlier you begin, the better off you’ll be down the road. But building a credit history is only helpful if you build it the right way, so here are five tips to help you on your credit journey. These days, there’s a tutorial for just about anything online — including your credit card terms and conditions. Reading the fine print is rarely fun, but it can help save you a lot of heartache — and money, and credit score points — to become familiar with the terms of your credit card long before you start using it. For example, some student cards charge an annual fee, even if you never use it. This can end up being expensive and it isn’t necessary. Others charge you very high interest, which can cost you hundreds more in charges every year if you don’t know about the grace period for avoiding interest. Your payment history is the biggest factor in your credit score calculations, so it can not only help you build good credit quickly, but it can also cause a lot of damage in a short period of time. Even one missed payment can cause your credit score to tank, so always be sure to make at least your minimum payment well before your due date every month. While payment reminders were once limited to red circles on your calendar or sticky notes on your mirror, today's cardholders can use a variety of tools to stay on top of their bills, including mobile banking alerts and automatic bill payments. Just like staying up and partying all night can lead to regrets the next day, using your card in excess can cause a financial hangover. Don’t overspend on your student credit card – you’ll need to pay every penny back eventually. Before using your card to make a purchase, ask two questions: Can you pay cash for this instead? and, Do you really need the item? A good rule of thumb is to never charge more than you can repay before your next due date. By always paying your balance in full, you can avoid interest fees than the to interest-fee grace period offered by most credit cards for new purchases. Although most things can be paid for directly with your credit card, some occasions simply call for cash. But while it may be tempting to give into convenience and use your credit card at an ATM, avoid making a cash advance if at all possible. Why? Because credit card cash advances are expensive. Not only will each cash advance likely come with a cash advance fee of 3% to 5% of the total amount, but cash advances also tend to be charged much higher APRs than regular purchases. Plus, there’s no grace period for cash advances, so you’ll start accruing interest as soon as it posts to your account. Get into the habit of treating debt like a valuable tool — but one to use sparingly. Respect the power of credit and the responsibility that goes along with it. If you establish good credit habits now, you’ll be less likely to wind up in over your head in the future.